Lou Stoppard and special guests discussing the ready-to-wear and couture collections on SHOWstudio provides for an enthralling fifty minutes or so. 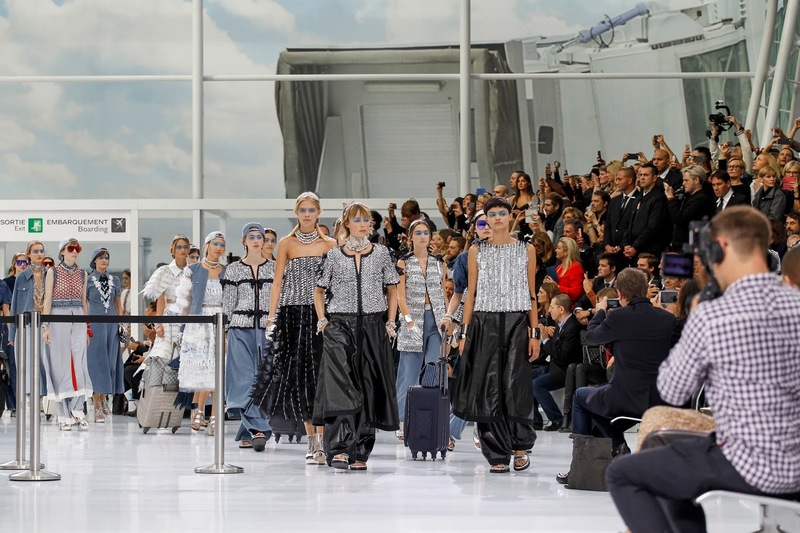 Their most recent one and finale of the season that was the theatrical Chanel show. As per usual, the spectacle that is the show was discussed. Did it overshadow the clothes? Did it contribute to them? 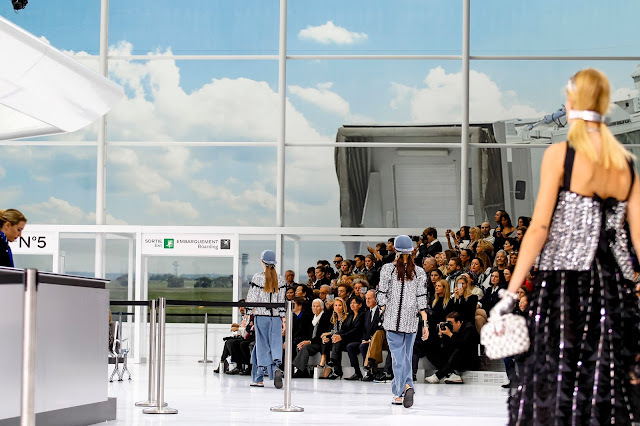 The general consensus this time was that the spectacle did overshadow the clothes, which were somewhat stronger than in seasons past (although, naturally, there was a few regurgitations of regular Chanel silhouettes). 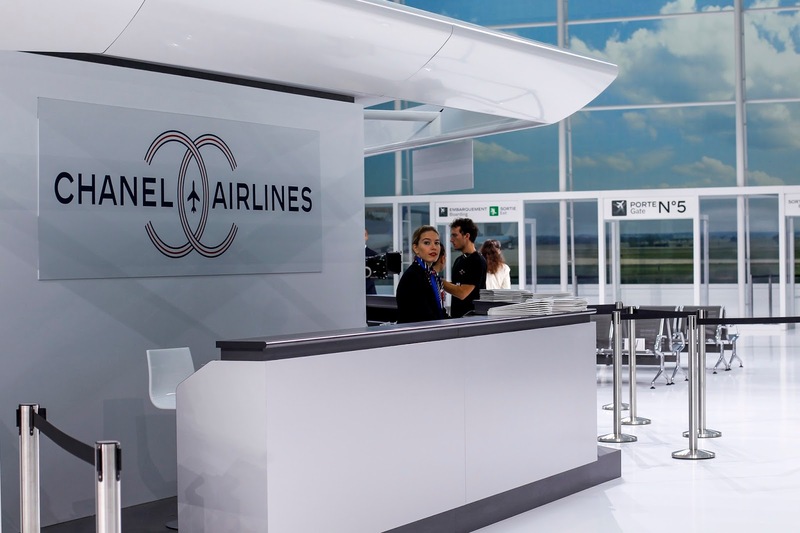 The panellists (including Dominic Jones, Paula Reed, Rosanna Falconer and Charlie Boyd) also reached the conclusion that had they not known the set was an airport terminal they wouldn’t have made the correlation. Karl Lagerfeld brings the wow factor with these big-budget shows but when do things start to lose focus. The set was witty in true Lagerfeld style. Paris-Cambon Airport. Terminal 2C, Gate No. 5. The departure boards read Singapore, Rome, Istanbul, London. All of the places that Chanel has travelled to in the past. 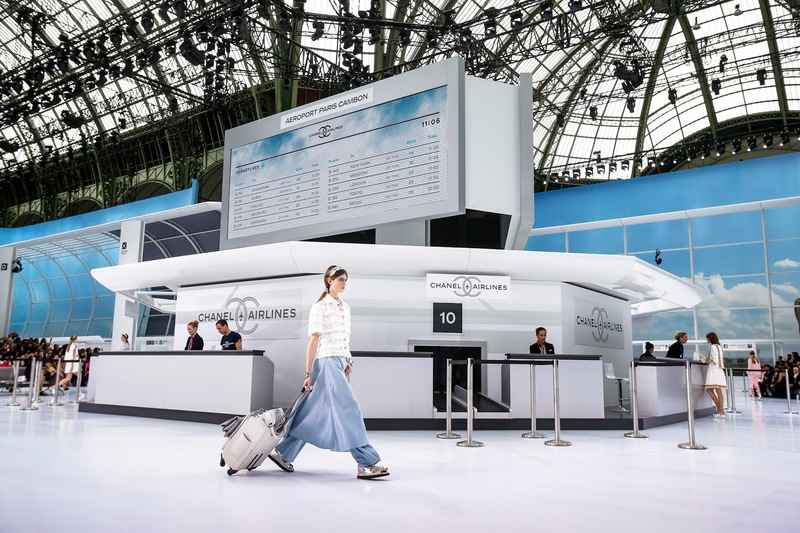 There were check-in desks, suit-clad gentleman wheeling the newest Chanel carry-on luggage. Then came Edie Campbell in a checkered black, chartreuse and fuchsia jumpsuit. Parisian label Vetements have a sociologist on pay roll to study the way people wear clothes. I’m sure there was some of that going on here. For example, there was Karl’s take on tracksuit pants. I’m sure these ones will be hundreds, if not thousands of euros more than your average Nike pair. Nevertheless, they reflected the way people travel. There were baseball caps, flip flops and sweaters wrapped around waists int he collection, also. Look 11 was like a flight attendant uniform, prim and proper, formerly a sought after title. Impeccable styling was the giveaway. 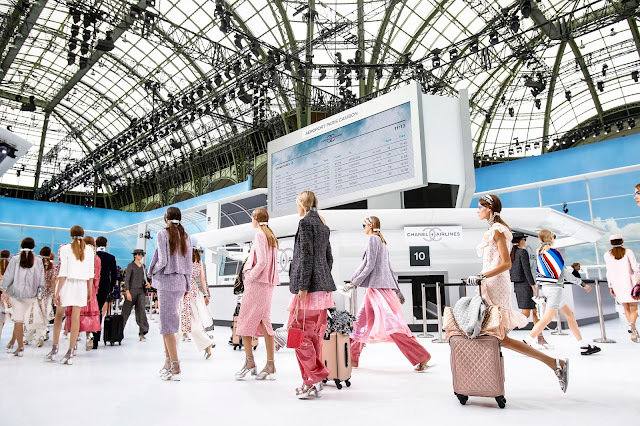 The women that wear Chanel, who will travel to places such as Istanbul, Seoul, Tokyo, etc. were also represented in this collection. There were gorgeous tweed jackets and suits. 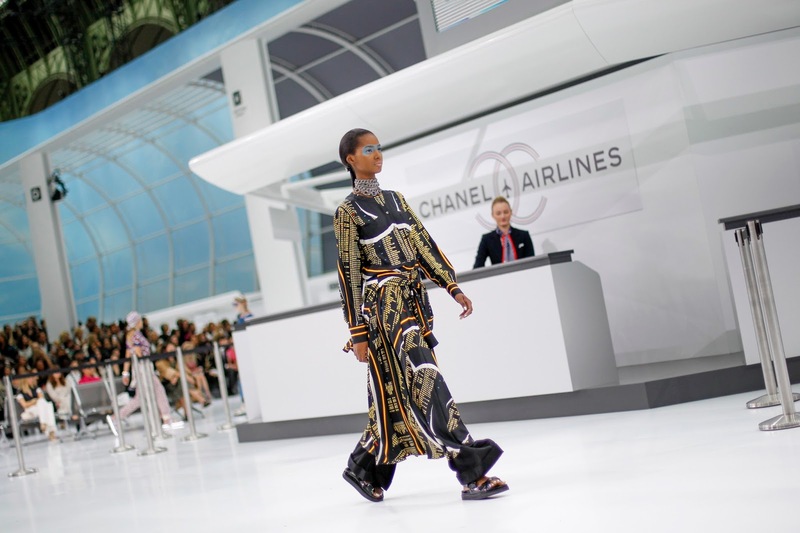 A woman that can afford Chanel is definitely a high flyer. Without the theme of the collection in my mind, that statement would be null in this review. On the brighter side, they were some of the strongest looks in the collection. Karl’s take on denim was intriguing to say the least. It was also quite cool to see something championed by many other designers in the industry show up in the unlikeliest of places. 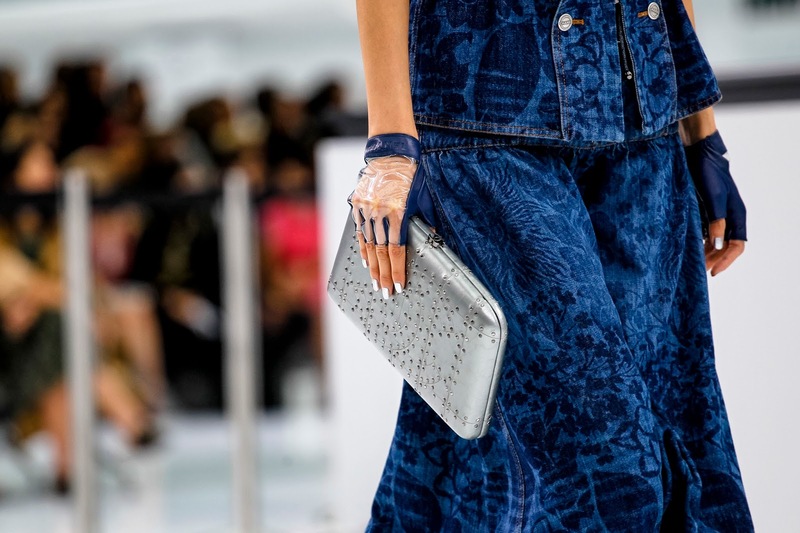 The denim was floral printed to ensure an edge, unseen at the other brands. Styling. 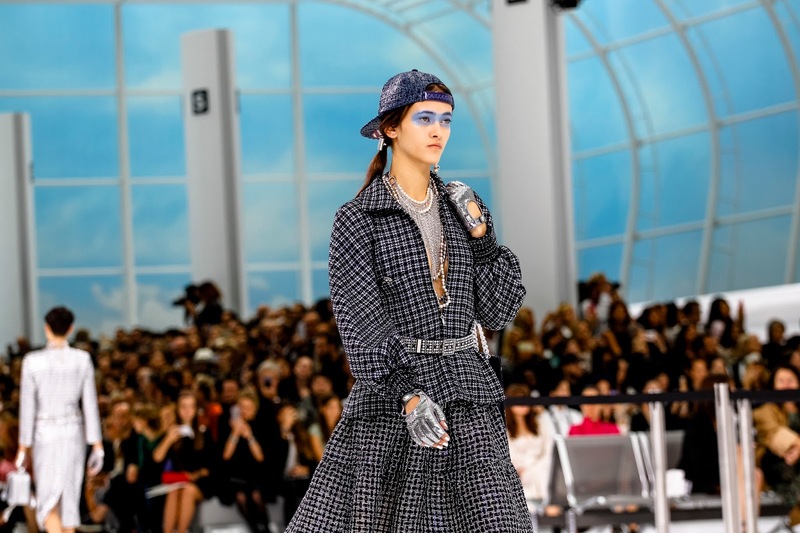 The styling in a Chanel collection is always controversial. There will always be complaints from people saying that the styling ruins the collection. I don’t always disagree. Anna Ewers blue sweater emblazoned with red and white airplanes was styled with matching trousers and a sweater wrapped around the waist. The baseball cap will surely be the accessory to have in January. However, the horrible sandals and overuse of bracelets were deterring. Charlotte Free’s printed dress was overworked when a floral appliquéd bib, a chain-mail choker and material-stuffed cuff were added. There were some looks in this collection that could be related to airport or airplane dressing. However, that was with the assistance of the gargantuan set, the eye-mask-esqe eye-make-up, and the luggage. My question is, would the shows get as much coverage and as much attention if you took away the sets? 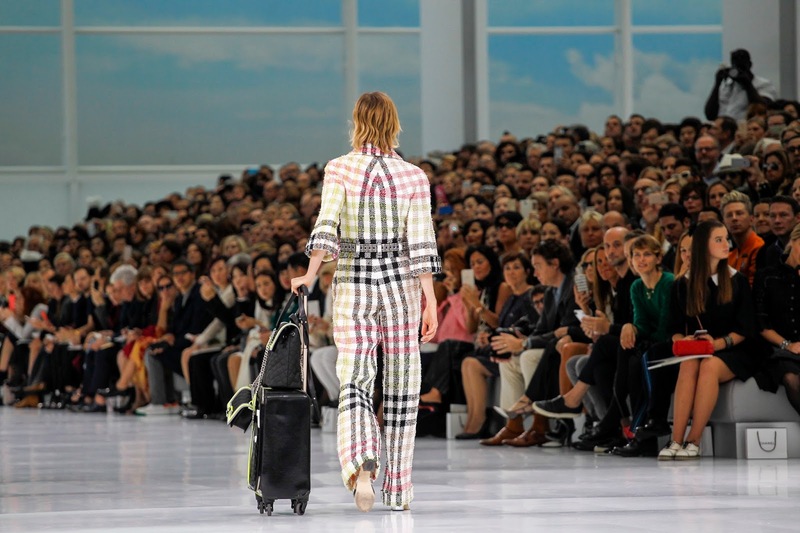 There was almost 100 looks in this collection, as there is in every RTW collection. That’s almost 600 looks a year (just for Chanel), excluding the commercial looks and accessories, and the sets that Karl has a hand in. The main question we all have is how does he do it? Or else it may be, how does he keep it fresh? My answer: he tweaks the colour palettes, techniques, changes the silhouettes slightly, has minute details added. 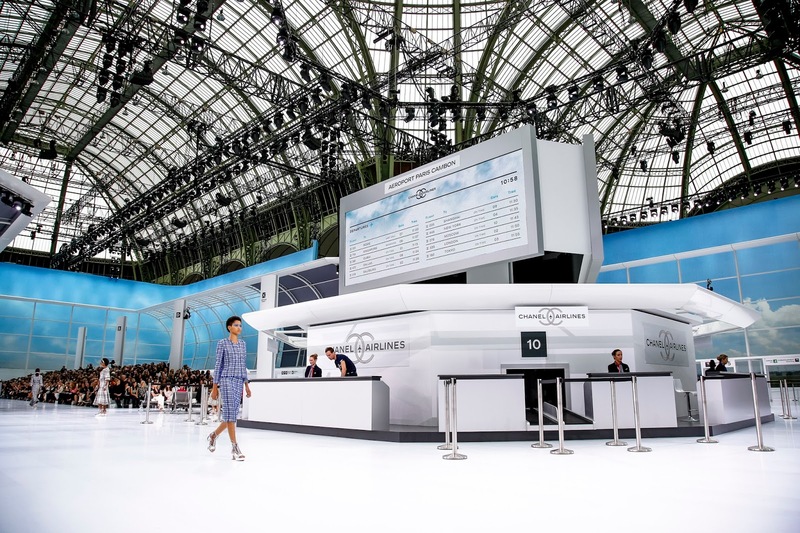 Though the shapes remain the same, with some new additions, and the sets get bigger and bigger, thus overshadowing the clothes, it is still very hard not to display affection for the Chanel show.